You'll find out how planning helped nail a Fortune 500 interview. You'll be able to feel like Verne Harnish who used planning to start over 100 companies. You'll hear how Gordon Ramsey uses planning to create top restaurants in the world. 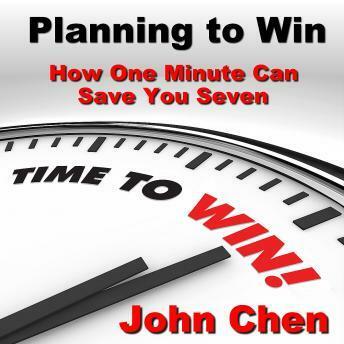 John Chen is the CEO of Geoteaming, trained by the Godfather of Experiential Team Building Dr. Simon Priest, PhD and the #1 personal development expert Tony Robbins. John spent a decade shipping ten products at Microsoft and facilitating over 1,000 team building programs for 60,000 people around the world including Barcelona, Shanghai, Marseilles, Costa Rica and Budapest. With a combination of practical tips, inspiring stories and interactive exercises, just sit back, enjoy the learning and make a difference as you are inspired to do one action better based upon this program. Start PLANning today!